email: richard AT above web site (ebva dot co dot uk). Headley Mill, house and pond in Autumn. The waterwheel is behind the brickwork. The mill is off the picture to the left. To place an order, please complete the order form on the home page. Headley Mill is in Southern England between Guildford and Petersfield in North East Hampshire. Access is via the A3 (turn off at Liphook onto B3004) or the A325 (turn off at Sleaford or Bordon firestation traffic lights onto B3004). It is on part of the B3004 called Standford Lane, between Standford and Lindford (just next to the junction with Mill Lane) where our geese cross the road. Greenwich Mean Time (GMT) in winter, GMT+1 in summer. Please do not phone after midnight (ie not after 7 pm from New York or 3 pm from California). You may come to see me for a consultation or telephone me (before midnight!). However, for EBV a consultation is not normally necessary. Most questions can be by email or phone. I normally charge £50 per hour for a consultation. If you just have EBV infection, the consultation may be short, otherwise it could take 2 hours. If you call me for a telephone consultation, I may charge at my normal rate. 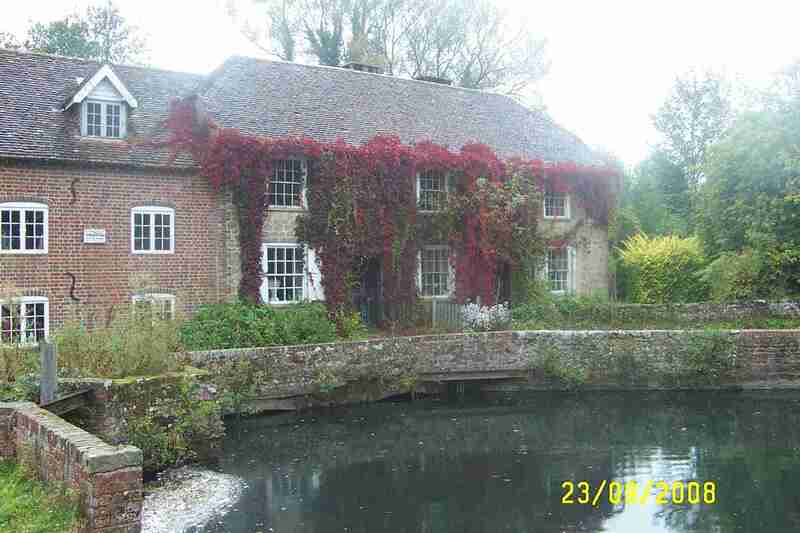 Is an ancient water mill and house on the river Wey. My Grandfather moved here in 1914 with the family business, and it still belongs to my family. The family business of millers and agricultural merchants (J Ellis & Sons, founded 1889) was run from here until last year, when it was closed down due to the collapse of local agriculture. The mill was used to grind meal for farm animals, and the business supplied animal feeds, seeds, fertilisers, hay and straw to farmers and small holders. Since the 1960s, we used the mill less and became more involved in horse supplies and pets. In the last ten years the mill has only been used to grind flour from organic wheat and spelt (a cousin of wheat). The mill still works and I ground a small quantity of spelt recently and made my own bread (delicious). Headley Mill has a long history going back to the Domesday Book in 1086. For those who are interested in such things, it is located on a ley line. In the Middle Ages, herbs were used extensively and one can still find herbs growing around Headley Mill which would have been grown 800 years ago and have presumably self-seeded ever since. I use the flowers from such herbs and also others which I have grown organically. If possible, I use the wild herbs. Headley Mill is technology in harmony with the environment. It has always been in my family as long as I can remember, and defines us as water millers. Coming as I do from three generations of water millers, it grounds my physics in the countryside, in the old way of life, and gives me insights into the special life-giving properties of water. Water is the basis for life. Furthermore, if you have ever been flooded, you will understand that water is a force, a power to be reckoned with. My remedies are another example of water power.